Most of you will probably understand when I say that there are certain things in the world that give you a sense of nostalgia. It might be a place you lived while growing up, a certain dish that reminds you of simpler times, even a group of friends that, even if you lose touch over the years, you can always go back to where things left off the moment you see them. For me, that perfectly sums up Kuala Lumpur. I first moved to Kuala Lumpur, Malaysia in the summer of 2004. I was 13 years old at the time and not even through middle school. My family and I moved there straight from our previous home in Copenhagen, Denmark. Obviously the change in climate and culture was dramatic, but like everywhere else I’ve been, I was able to gradually adapt to my new home. It really helped that I was able to make quick friends at the international school. The four years I lived in Kuala Lumpur certainly affected my outlook on the world and shaped me into the person I am today. While four years does not seem like a long time to most people, to me it felt like a lifetime. That is why when it came time to move, I was pretty heartbroken about it. Despite that, I vowed to return someday and reclaim a bit of those old feelings I had from when I lived there. Fortunately I got my wish this past summer! While visiting my family who are currently living in Vientiane, Laos we had some old friends from Malaysia stay with us for a weekend. It was the first time I’ve seen them in five or so years. Almost non-stop for the entire time they were there, my friends and I caught up, making up for lost time. I decided to take a weeklong excursion to Kuala Lumpur to spend more time with them, see the city, and reunite with other old friends. It was the opportunity I have been wanting for so long! Kuala Lumpur (hereon, affectionately referred to as KL) is a city that caters to a wide range of people whether you’re used to the big city life or the more humble, down-to-earth family- and friend-oriented lifestyle. It is a definite melting pot of different cultures. such as Indian and Chinese, and has a gentle blend of the past and future. 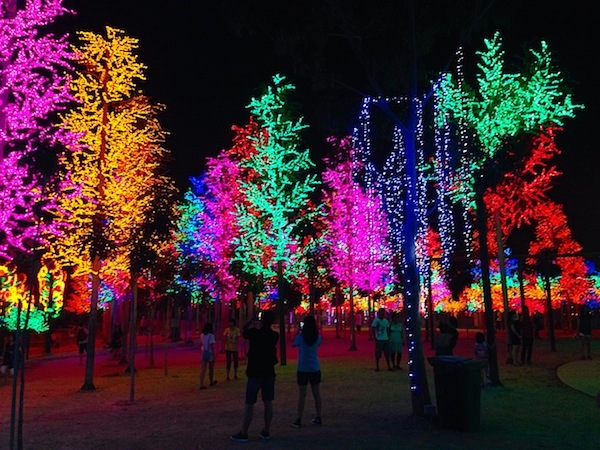 Aside from sharing my own personal experiences back in Kuala Lumpur, I also want to share some ideal places to visit if you ever pay the city a visit. 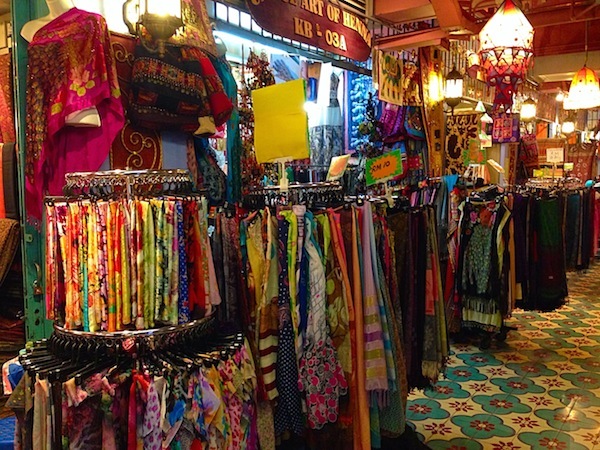 One thing that is obvious when walking around the streets of KL is that there are many shopping malls. Shopping is big in the city. During my trip back, I was able to visit a variety of shopping centers, whether it was to walk around, dine or to buy gifts and tchotchkes. Each one offers something different. With traffic being rather heavy in Kuala Lumpur, my friends and I did most of our exploring by walking through the underground tunnels, overhead passageways, and shopping centers checkered across the city. Perhaps the central place for shopping and hanging out in the city is indeed the Kuala Lumpur City Center (KLCC). It’s located in the heart of the city at the base of the famous Petronas Twin Towers, the tallest twin buildings in the world. Much of the mall is underground. Since I moved away six years ago, KLCC has been expanded and partially renovated. However, it is still largely recognizable and I was able to navigate through it as if I had never left. Many shops focus on fashion, electronics, and beauty. There are a supermarket called Cold Storage in the bottommost level, numerous restaurants, food stalls, food court, and a movie theater. 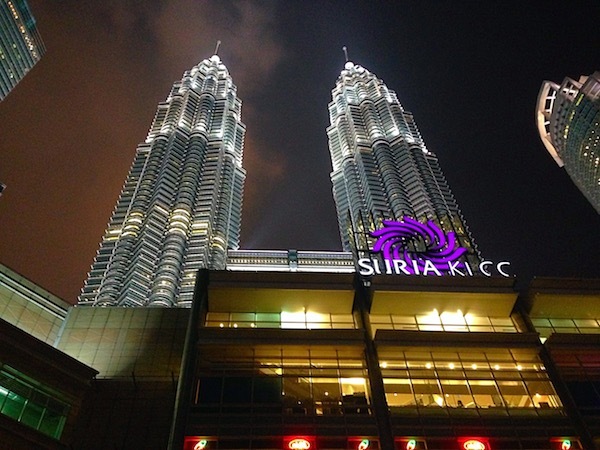 KLCC is easy to get to no matter where you are in the city. You can take either the subway or a taxi. If you’re up for it, a brisk walk through the city to get there from your hotel is definitely an adventure in itself. Pavilion was still pretty new by the time I moved away from Kuala Lumpur in the early summer of 2008, however, it is one of the more upscale shopping centers in the city. 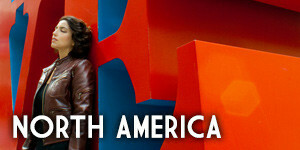 It is a mix of indoor and outdoor malls, with a much more modern atmosphere. Even when there are a lot of people, it is easy to navigate. 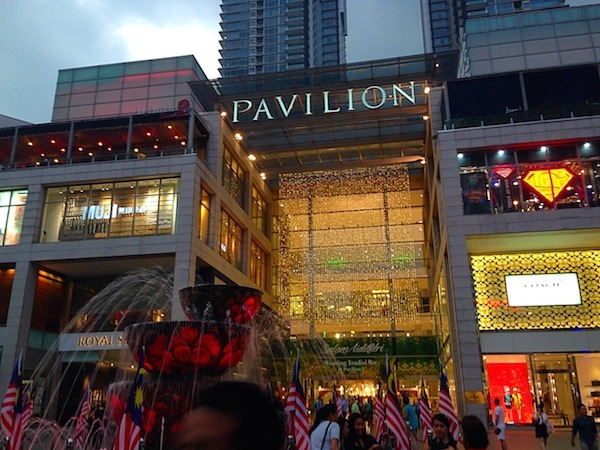 Pavilion has more apparel shops than KLCC. The mall also has bars where people can hang out and share a brew or a shisha pipe (also known as hookahs) with a group of friends. There is a massive food court in the basement level that offers a wide range of dishes spanning all around the globe. In the uppermost level is Tokyo Town where people can buy items imported straight from Japan. I certainly enjoyed that part of the mall! By far, Berjaya Times Square is my absolute favorite place to hang out. It was a 30-minute walk away from where I was staying – perhaps much shorter if you take the monorail or taxi. For me, Berjaya Times Square is the ultimate shopping hub in the city. It offers almost everything you could possibly want — clothes, food, electronics, souvenirs, movies, games, toys, and more. Like Pavilion with Tokyo Town, there is a Tiny Taipei in Berjaya Times Square and an amusement park with rides, including a decent sized roller coaster. There are a few internet cafes throughout the mall for those who love playing computer games in groups, and a situation simulator called ESCAPE ROOM where you and a group of friends must solve a series of puzzles or obstacles to free yourself from a room, or free your friends from a wide range of predicaments whether it be a bank heist, kidnapping, or a night at the museum. It’s a great team-building exercise! Be prepared to think on your feet since it is a timed activity. And yes, there is a Wall of Fame for those who successfully complete it, and a Wall of Shame for those who fail to complete. Unfortunately, my friends and I ended up on the latter. 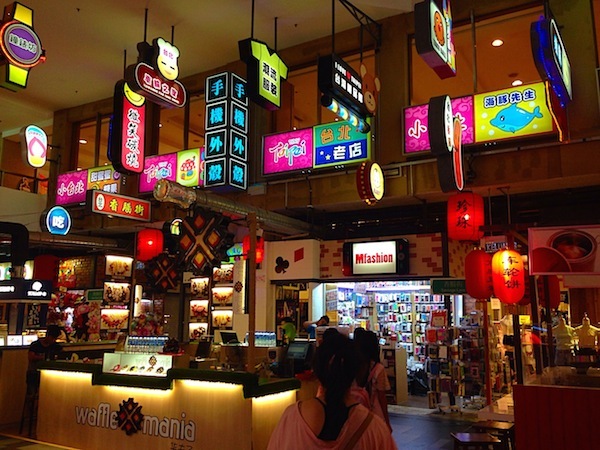 Berjaya Times Square is a favorite because they cater those who Japanese pop culture buffs, from film to anime. Stores throughout Times Square specialize in selling action figures and model kits of beloved characters, giant robots and monsters, manga and DVDs, and much more. If you’re an “otaku,” pay Times Square a visit. To get to China Town quickly from Kuala Lumpur, you have to take the subway. From the station, it’s a five-minute walk. 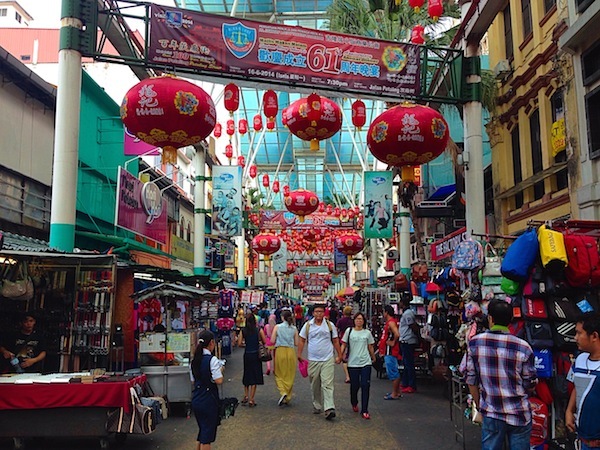 China Town is a pedestrian streets lined with shops. It’s sensory overload. 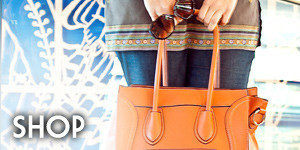 Because prices fluctuate, I recommend haggling for the right price. Don’t be afraid to get tough with the even tougher store owners! Directly across from the entrance to China Town is Central Market. 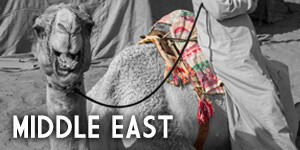 Pick up local wares, traditional clothing, local food and coffee. 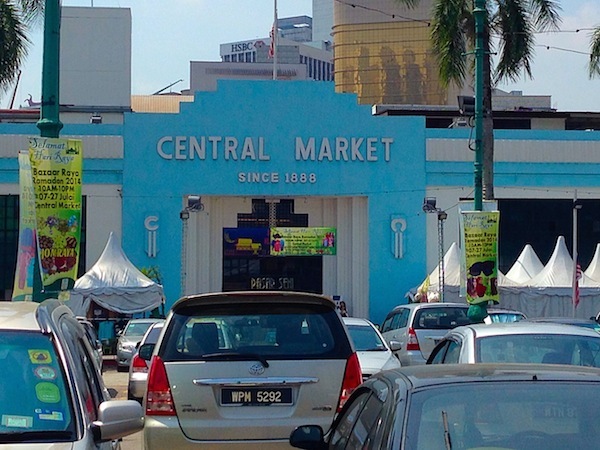 It’s slightly easier to haggle at Central Market than it is in China Town. As much as shopping is an unescapable activity in downtown Kuala Lumpur, don’t neglect to experience the natural beauty of Malaysia beyond the city limits of KL. 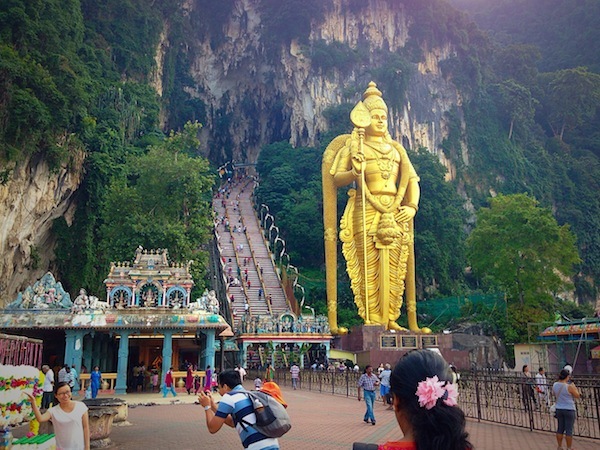 Batu Caves is an impressive system of caves that are home to Hindu temples, located no more than eight miles outside Kuala Lumpur. Climbing the steps to reach the caves is a workout, but the payoff is totally worth it. While visitors are climbing the 200-plus steps to get to the caves, klepto macaques are alert to exploit opportunities to steal your stuff. Keep everything sealed away. 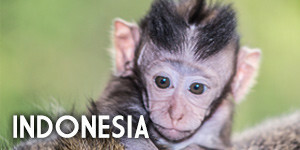 These monkeys, though cute and adorable to look at, will grab anything loose! I City is definitely one of the more distant attractions around KL. It takes about an hour to get there from the city depending on traffic. I City is best experienced after dark where its light shows attract lots of locals and tourists. There is also an amusement park filled with rides, activities, and games. 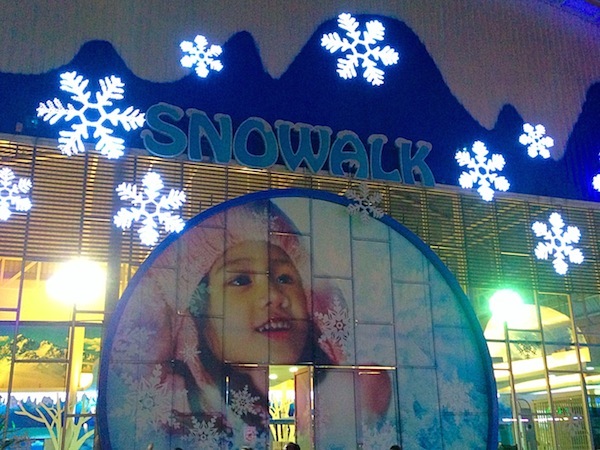 Check out Snowalk, an indoor arctic environment where you can enjoy winter without leaving Malaysia. 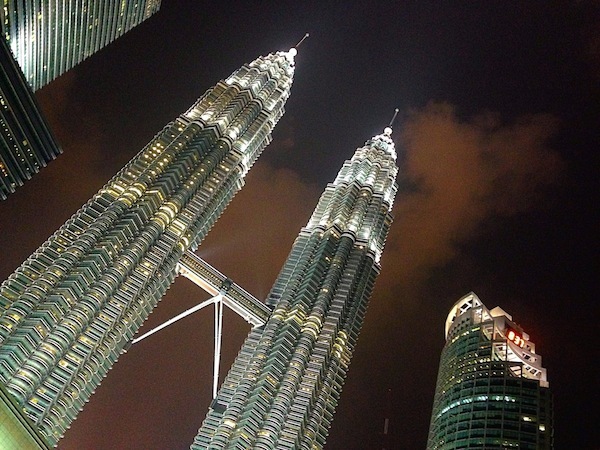 The Petronas Twin Towers are what define the Kuala Lumpur skyline to the rest of the world. 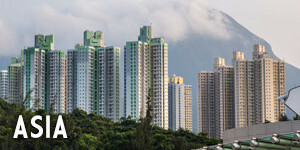 They were the world’s tallest buildings until Taipei 101 was completed. However, they remain the world’s tallest twin towers. While a trip to the top is possible, it’s expensive so most tourists and locals opt for the skybridge that connects the two towers, 170 meters (558 ft) above the ground. There was once a time when Malaysia’s capital was to be moved from Kuala Lumpur to the up-and-coming city of Putrajaya. However, while the nation’s political capital has officially moved there, the economic capital remains Kuala Lumpur. What does this mean for Putrajaya? Other than the government offices, much of the city remains essentially empty. Driving through the seemingly empty streets of Putrajaya is a surreal experience. A whole city without people, imagine that! It was a stark contrast to the bustling streets of KL. 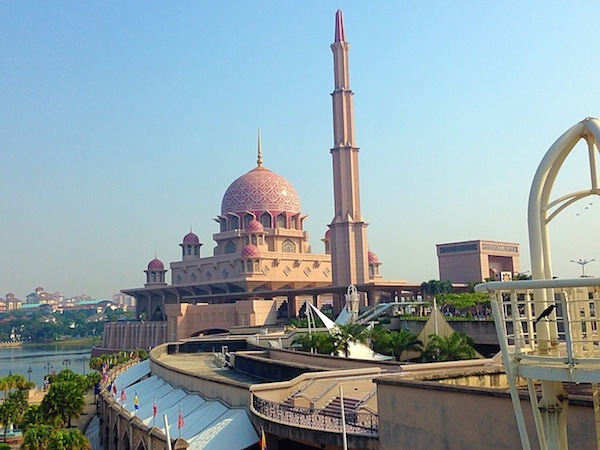 However, Putrajaya still thrives on tourism in certain parts of the city such as Putra Mosque located right next to the Prime Minister’s Office and Putrajaya Lake. 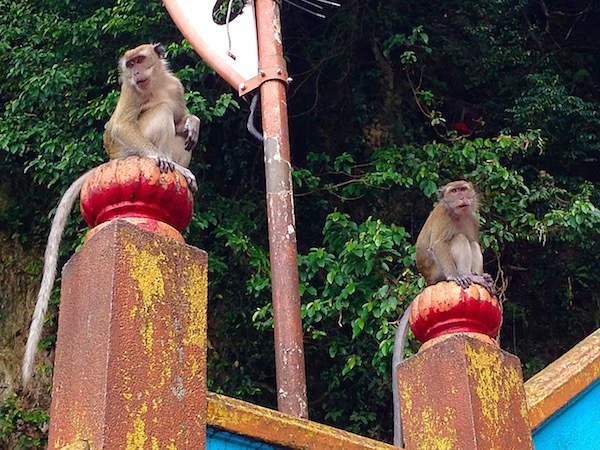 Other than the four sites that I have mentioned, there still much to experience around Kuala Lumpur that I did not have time for on this trip: Sunway Lagoon, Kuala Lumpur Tower, National Museum, Merdeka Square, and the Kuala Lumpur Bird Park. 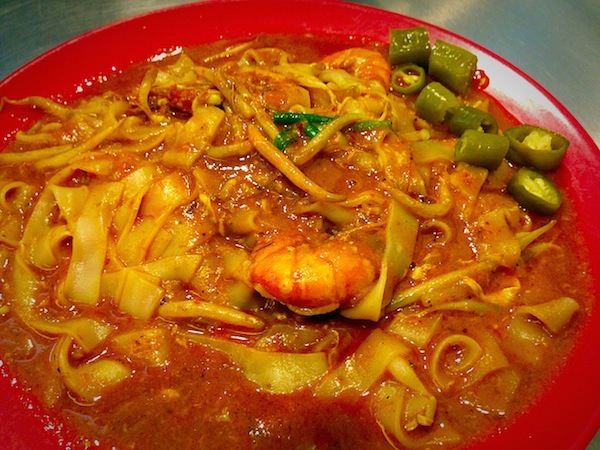 Food is a huge aspect in Malaysia’s highly diverse culture, and even moreso within Kuala Lumpur. With people hailing from Indian, Chinese, and Middle Eastern backgrounds, it comes as no surprise that a lot of their dishes made their way into the homes and stomachs of all kinds of people. It’s truly food that brings people and entirely different cultures together in Malaysia. 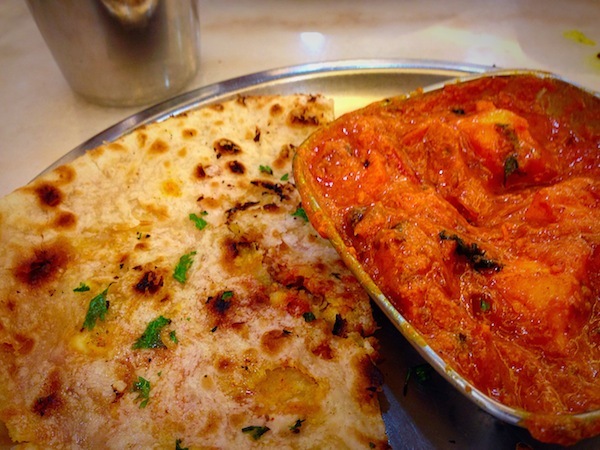 It doesn’t matter how its made or what curry its served with, Naan is a staple in Indian as well as Malaysian cuisine. You can go just about anywhere in the city and there will be a stall or hole-in-the-wall eatery that serves it day or night. Naan can come in different flavors such as butter, garlic, or cheese. All of them are best eaten fresh and with a good vegetable curry on the side to dip it in. Char Koay Teow (also spelled Char Kway Teow) is a dish that is certain to start a fire in the tummy, depending on how hot you like it. It is a popular dish amongst Malaysians, and there are multiple variations on the recipe throughout South East Asia. At its core, however, it consists of flat rice noodles, chilli, whole prawns, bean sprouts, egg, belachan and soy sauce. I’m certain that this dish can be found right in downtown Kuala Lumpur, however I was taken a little ways outside the city to a place called Mali’s Corner where I was introduced to it. Despite its messy appearance, it is undeniably delicious and a treat to anyone who is willing to try the local food. Even after being away for so many years, returning to KL felt somewhat right. It felt like home, as it always had, even though it was not where I was born and raised. The familiar sites, sounds, tastes, smells, and people made it home. When I took my first bite of freshly made naan with vegetable curry during the first night I was back, all those nostalgic feelings from years ago came rushing back. For those who wish the visit Kuala Lumpur, it is an experience not to be missed. It’s a place that everyone can enjoy. You can bet I’ll be back there soon. 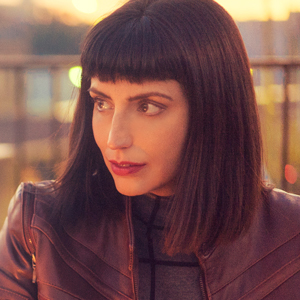 Jessica Peterson is a travel filmmaker, photographer, and journalist. 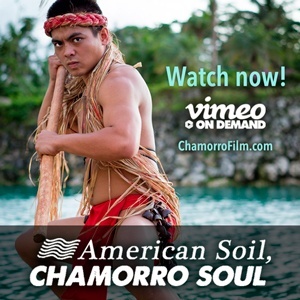 She released her first documentary film about indigenous culture on Guam in 2016, after having lived nearly 7 years on the Pacific island. Oh, Malaysia looks so beautiful! 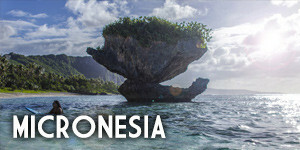 I wish I can make it there someday and see all these incredible sites! 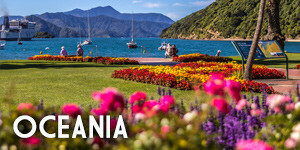 Cannot wait to go here next year. I’ve added every single thing to my Malaysia list! 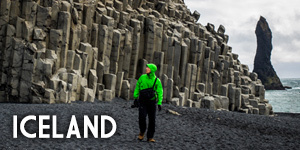 Whenever that trip happens, I will be sure to make these stops. wow I would love to visit Malaysia! beautiful pictures 🙂 Thanks for this! Thanks for the great tips. Great timing as I have to run over to KL end of the month for a few days. I have been to KL many times but didn’t visit Putrajaya! I’m intrigued to go visit the mosque, this area must photograph so well. I know the last time I visited a huge shopping mall had appeared outside KL Sentral! It is changing so fast, it must be completely different to when you lived there! 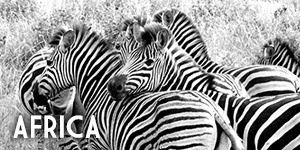 ©2019 Global Girl Travels. This is a for-profit blog with some affiliate links. If you'd like to share my content or images, please credit Global Girl Travels.